Sumptuous raw chocolate bar filled with delicious nuts and sweet fruit. 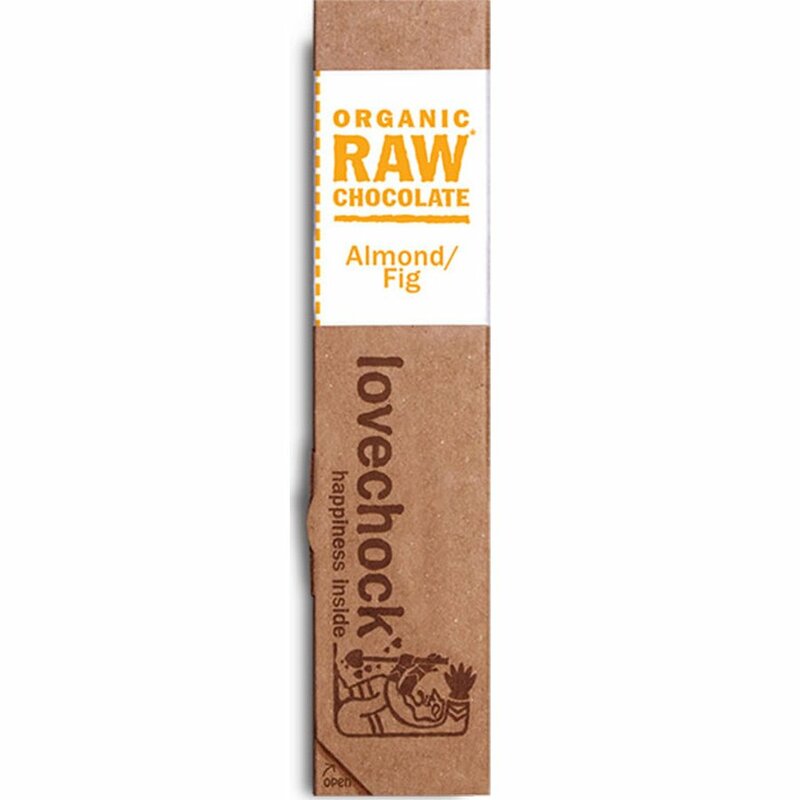 100% organic, Lovechock is also suitable for a vegan diet, and contains no dairy, soy or gluten. Alternatively sweetened with coconut blossom nectar, it is made without any refined sugars. Store in a cool, dry place between 12 and 17 °C (shelf-life of at least 6 months). Cacao mass*, cacao butter*, dried coconut blossom nectar*, dried figs* (11%), Almonds* (11%), raisins*, lucuma powder*, maca powder*, aniseed*, bourbon vanilla*, cinnamon powder*, sea salt. Cacao solids minimum 80%. The Lovechock Raw Organic Almond Fig Chocolate 40g product ethics are indicated below. To learn more about these product ethics and to see related products, follow the links below. Given as a gift and pronounced delicious by the recipient who was delighted to receive it. There are currently no questions to display about Lovechock Raw Organic Almond Fig Chocolate 40g.